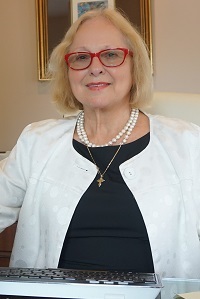 Mina Millas graduated in 1973 from the University of Athens (Anotaty Emboriky) and in 1974 came to Houston as a young bride. 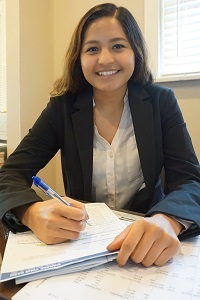 After starting her family, Mina went back to school at the University of Houston to get a Bachelors and Master of Science degrees in Accountancy. Upon completion of her studies, Mina passed the Certified Public Accountancy examination (CPA). Mina's first professional engagement was with the Internal Revenue Services (IRS) as an Auditor. While working for the IRS Mina realized that there was a need for personalized professional services to various small businesses. In the beginning of 1992, Mina started her company as a sole practitioner and later changed it to an LLC. In her leisure time, Mina loves to cook and entertain her family, friends and clients. 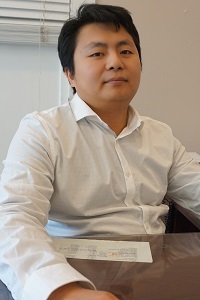 Hong is an accountant at Millas CPA LLC. He has more than three years’ experience in public accounting. He serves individual and business entities with full range of accounting and tax services, including payroll, financial statement preparation, and federal & state tax filing. Over the years, he has gain trust and confidence from clients. He helps them with business entity formation, accounting system setup, and tax planning. The industries that Hong serves include retail, ship repair, antique collection, real estate, oil& gas, and auto shop. Jonathan Nieves earned his Bachelor of Business Administration in Accounting from the C.T. Bauer College of Business, University of Houston. 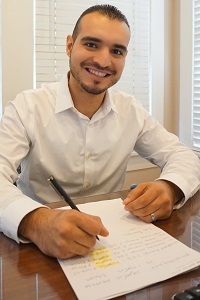 He joined Millas CPA LLC in 2015 and currently works with accounts in different industries such as restaurants, ship repair, auto repair, auto sales, retail, etc. His duties include payroll, bookkeeping, sales tax, bank reconciliation, individual and corporation tax returns, quarterly reports, etc. In his leisure time Jonathan enjoys to work on cars as well as spending time with his family. Jessica Diaz was born and raised in Houston, Texas. She completed her Bachelors of Business Administration in Accountancy at the University of Houston. Jessica joined the Millas CPA team in June of 2016. She is responsible for monthly financial statements, payroll services, and tax return preparation. The industries she focuses on are retail, ship repair, auto shops, and restaurants. She is currently pursuing her CPA license.